First of all, I’ve added a new page to this site dedicated to running – the races I’ve run in the past, why I started running in the first place, what it means to me to cross a finish line… If you’re interested, check it out. I’m shocked to report that my 13th race went smoothly. More than smoothly. It was fantastic. The forecast for thunderstorms never came to fruition, the rolling hills of the course were scarcely hills at all, and my lack of training was trumped by muscle memory. I finished at 2:15, my third best time ever. The medal is gorgeous and the biggest in size so far. 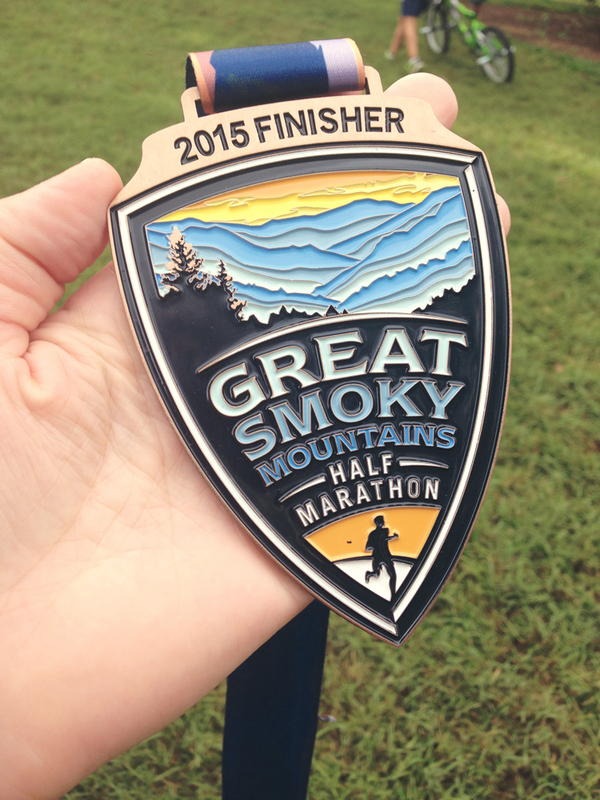 Organized by Vacation Races, the Great Smoky Mountains Half Marathon is one of eight races that happen alongside our National Parks, so as you can imagine, the views are amazing. 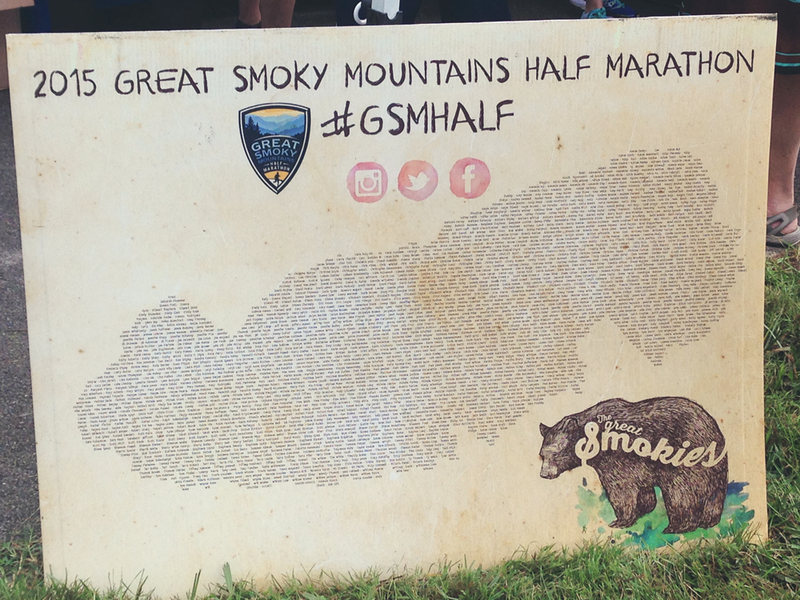 The GSM Half was described in Runner’s World as “tranquil,” a term I found laughable because when is running 13 miles tranquil? The race was well organized and seemingly well attended. The swag was worth the money because whoever is in charge of their illustrations rocked it. My favorite is this poster – all the racers names make out the shape of the park. Now I’m hungry for medal no. 14, so if y’all have any suggestions to grab another medal this calendar year with little to no travel, let me know.